Sara Marie staring at you! 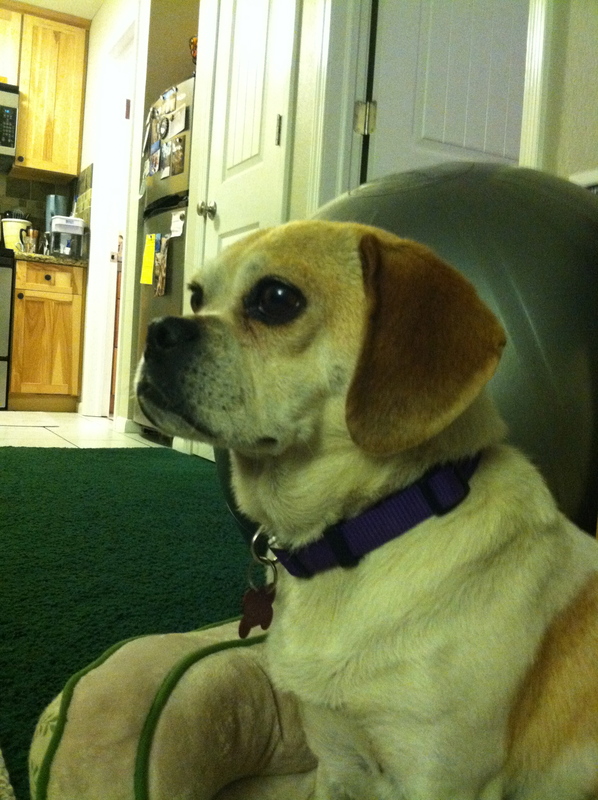 After almost two long years without a furry friend, we were lucky to find this sweet puggle at the Whitmore Animal Shelter. 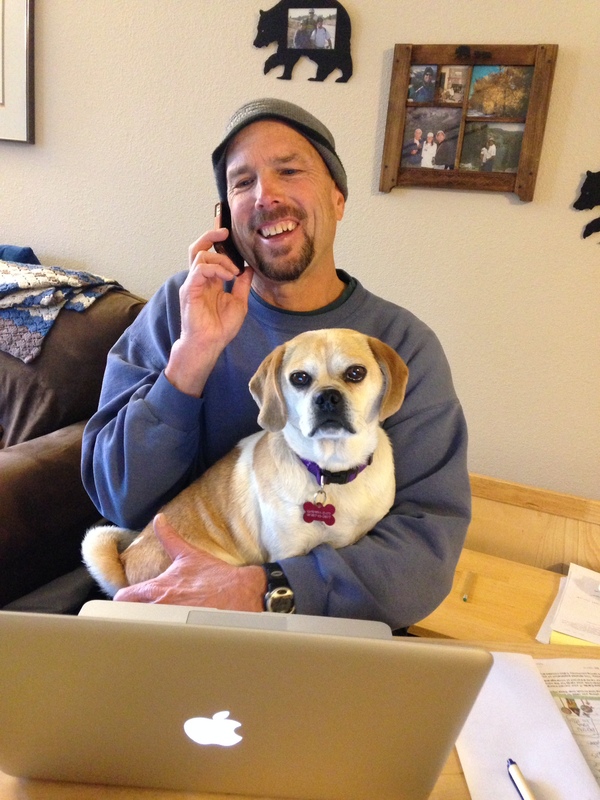 We had been looking at local and San Diego animal shelters on line for months. We visited Whitmore four times. The first time we thought she was cute but trouble. She would bark, spaz out, and jump four feet off the ground. She also sheds a lot and stares at you. Our next visit, there was a beautiful 4 month old hound puppy that we fell in love with, but she wasn’t up for adoption yet because they had to wait to see if the owner was going to claim her and her supposed mother. And of course Sara was still there staring at us. Our 3rd visit, we found out the hound was going to be available for adoption soon. Sara was still there, and she was really staring at me! When we went into the office, she was still staring at me through her kennel and the office door with the glass window. The staring was starting to be more than I could handle. Our 4th visit, we decided to get the lovable hound. That damn Sara was still staring at me! So we asked to see her again. We watched the hound and her play together. They got along great. We asked some more questions about Sara’s background. She was a stray in Walker. She hung out at Walker Burger to get fed. She had been at Bridgeport Animal Shelter for 2 plus weeks and at Whitmore for over 3 weeks. Age somewhere around two years old, and she had been fixed. And she was still staring at me! We filled out the paperwork for both dogs. Thank god the animal shelter has a “24 hour think about it” policy! After much debate and loss of sleep we came to our senses. 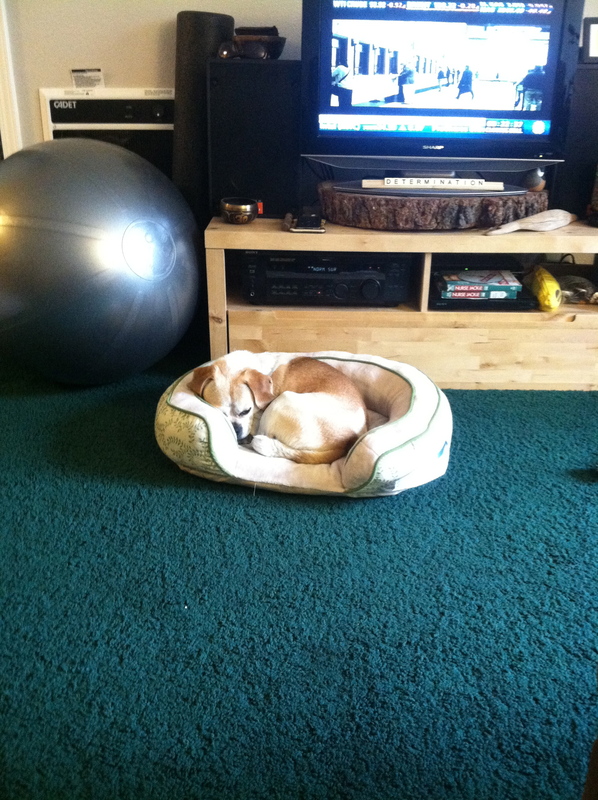 Two dogs, one a tall hound puppy, would be too much in the 600 square foot love shack, not to mention the Airstream. 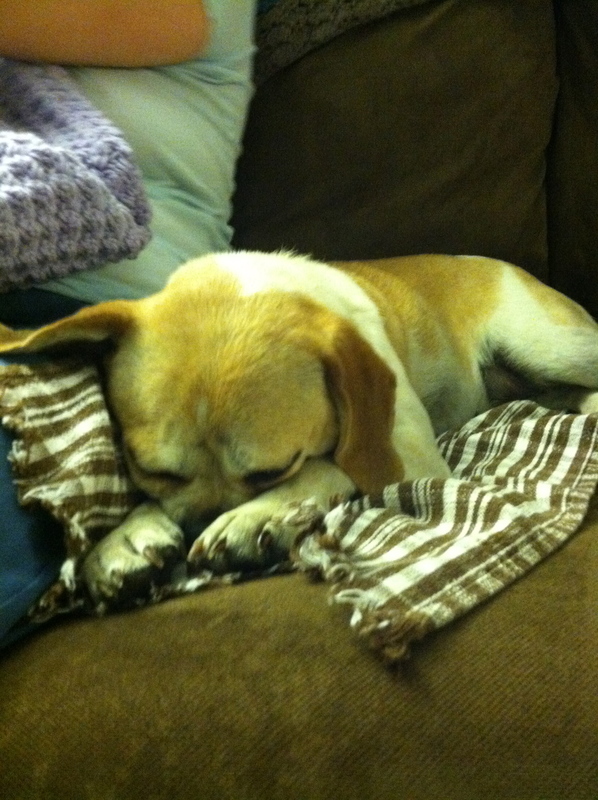 We felt bad because we told the shelter we wanted the hound, but she was adopted the next day. Sara has been with us 8 days now. Unlike Jack and Sugar she absolutely loves riding in the car! I’ve only heard her bark once, she sleeps in her own bed and hasn’t had a single accident in the condo. She’s an interesting little thing. 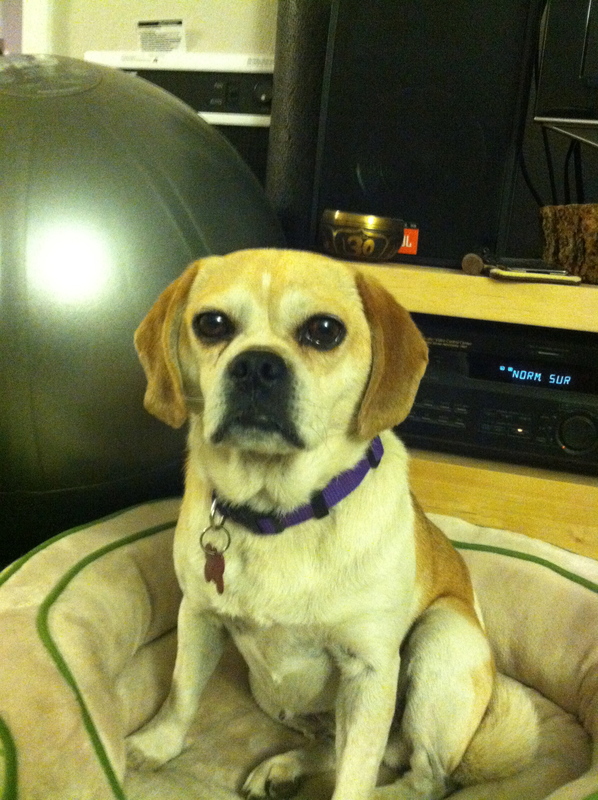 She definitely has some Beagle traits, like a nose that won’t stop sniffing and being an escape artist. On one of her first days at Whitmore she dug a hole under the fence and ran all the way to the green church at the 395. Luckily a garbage truck on its way to the landfill stopped, picked her up, and brought her back to the shelter. She’s sweet as can be and loves to melt your heart by staring at you. We can’t believe our good luck finding such a special little girl. 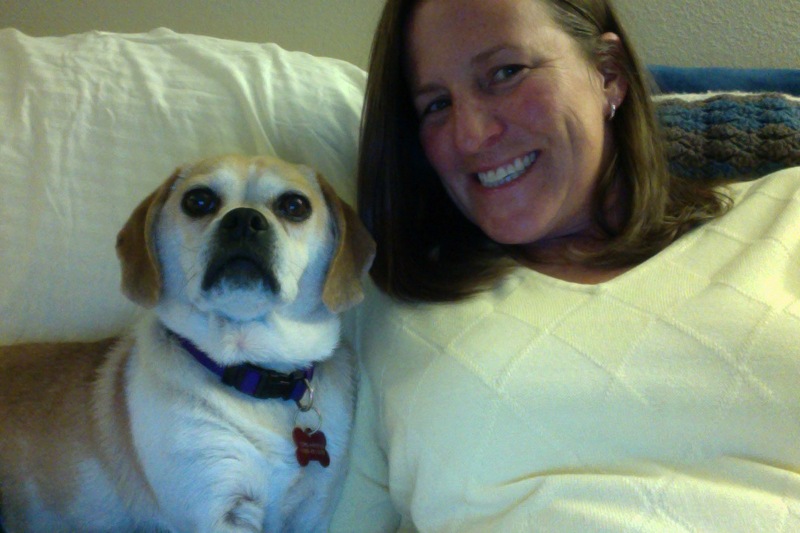 Sara Marie and her master, Amy Marie. She’s actually kind of ugly but cute, if that makes sense. Sara helping me with work. Egads, daylight savings is over. There’s snow on the ground and Mammoth Mountain opens this Thursday. No doubt it will be an interesting winter holed up our 600 square foot love shack. Our baby is tucked away in the hangar, safe and sound waiting for us to take her out again. When again is, is anyone’s guess. It may be later than sooner, unless we sneak away for a few days of boon docking in the Alabama Hills. We are looking forward to the ski season and friends visiting. Here are some sign pictures from 2013. Black Mountain. The Backyard Ride when we were living in San Diego. 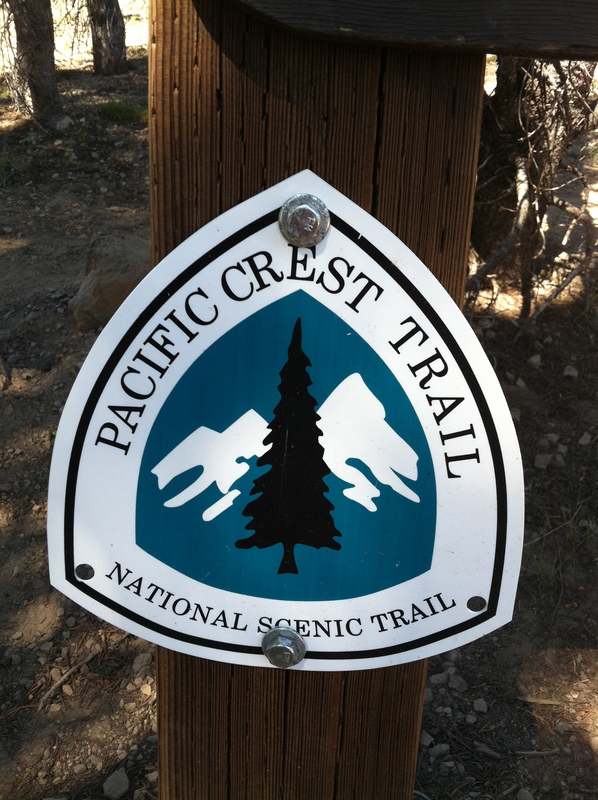 The PCT. 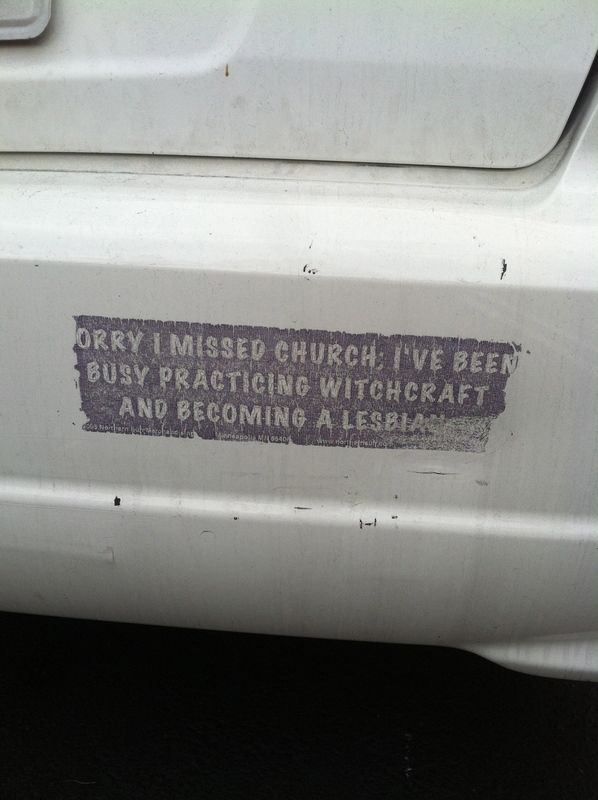 Seems like no matter where we live or go, we keep coming across it. Our friend Golightly is going to do the entire hike with his two kids. 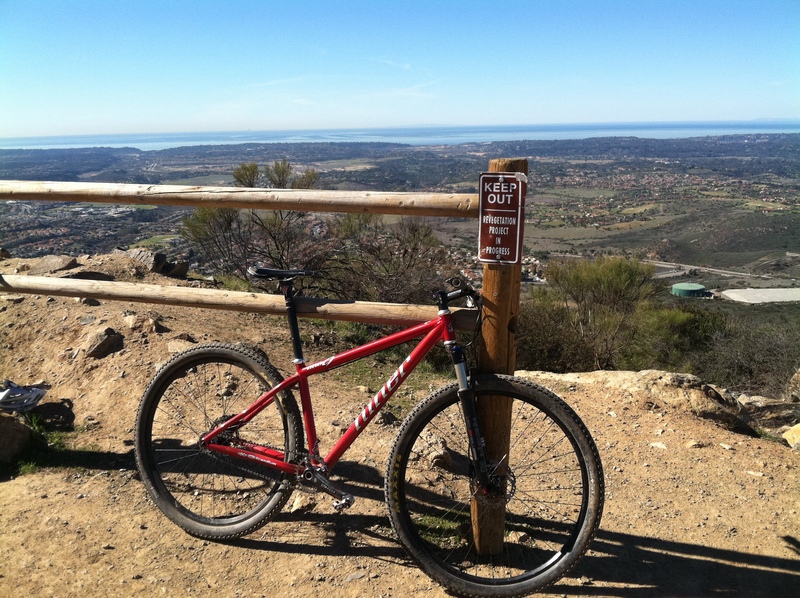 We have another unnamed friend that likes poaching it on his mountain bike in San Diego County. I love the dude running up the hill in front of the wave. 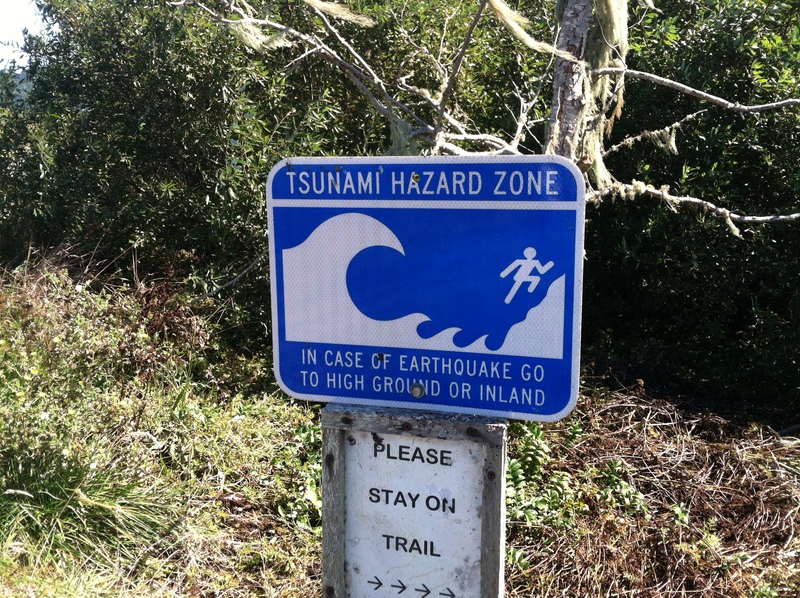 These signs were all over the Oregon and Northern California coast. This was the first and only time we’ve seen this sign. 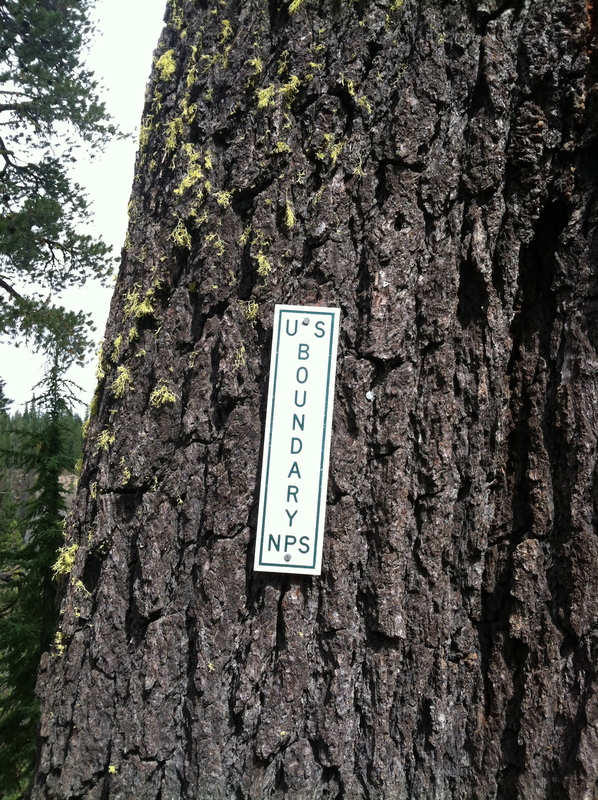 I believe it was just outside of Crater Lake National Park. 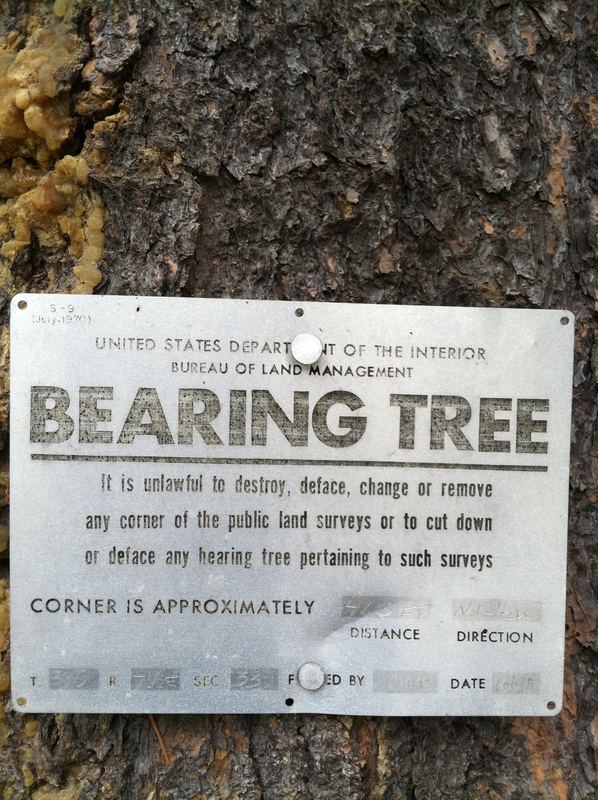 First time we’ve also seen a bearing tree. 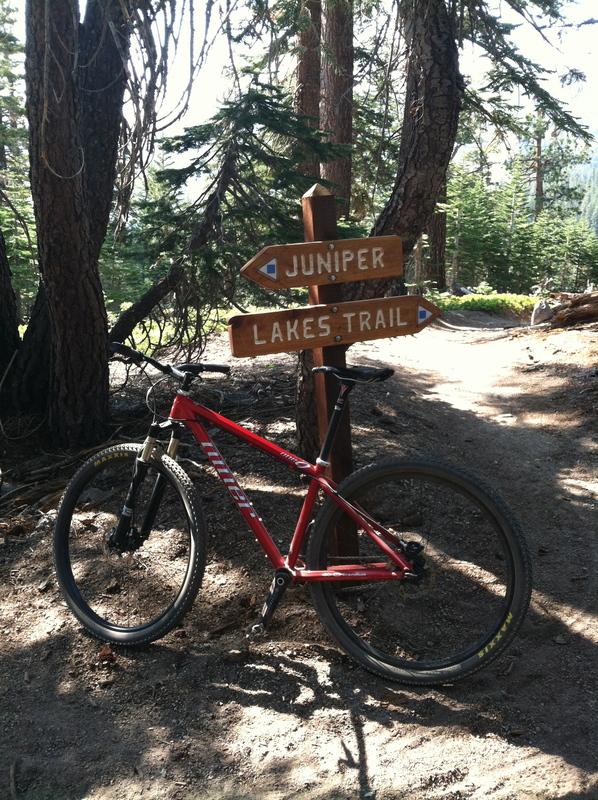 It was on BLM Land adjacent to Crater Lake National Park. 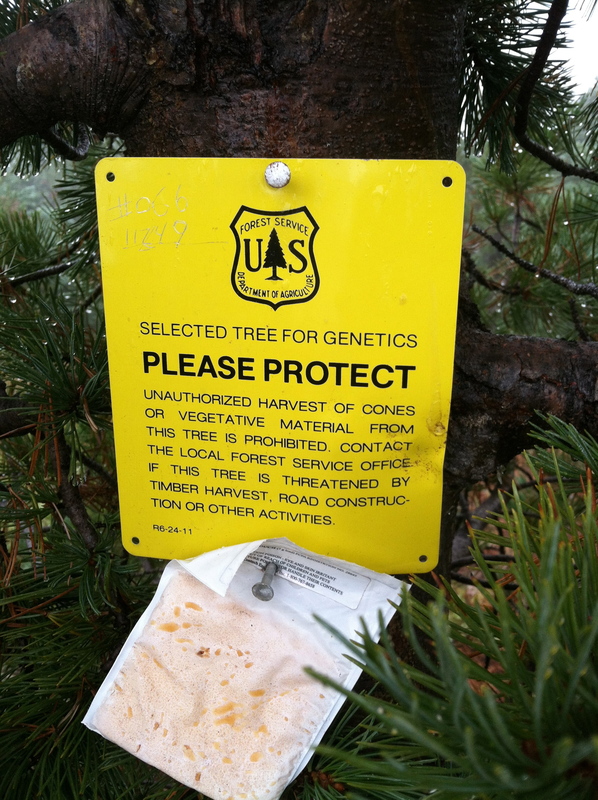 Oregon is big on just hammering signs into trees. Same area as the two previous photos. Carrizo Gorge. 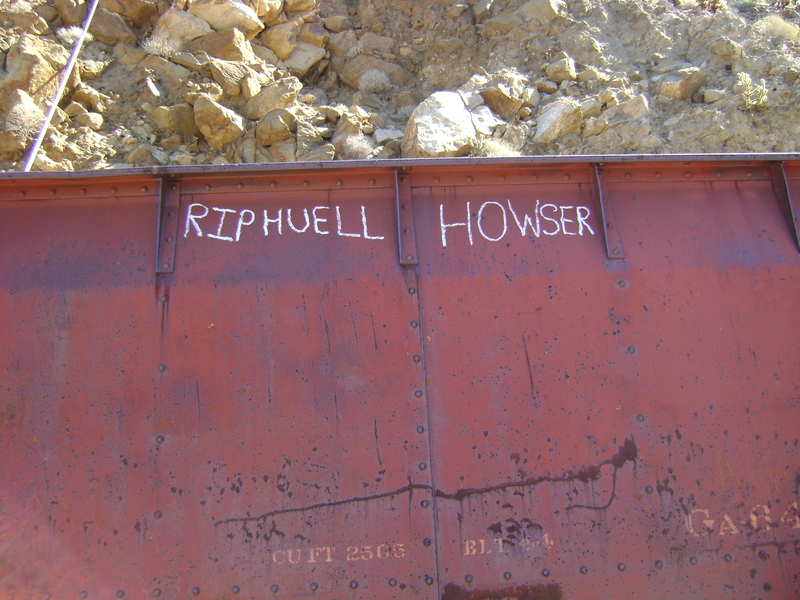 RIP Huell Howser. Long live California Gold. As Woody says, “This Land is your land.” Get out there and explore it! 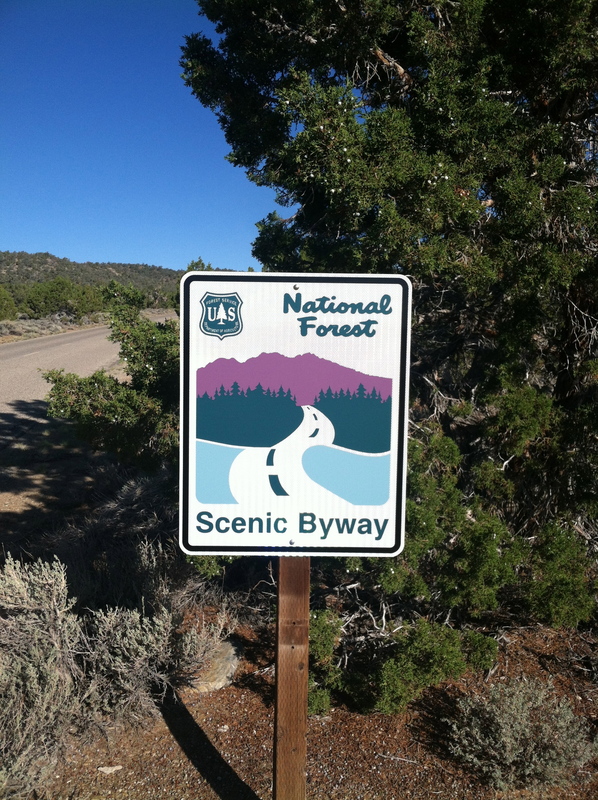 This is the road that runs along the White Mountains. 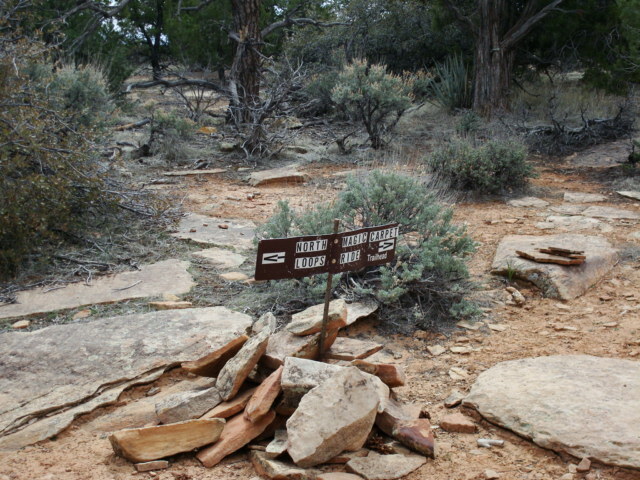 Little Creek Mesa, Utah. I strongly suggest not going there unless you are with a USMC Lt. Colonel. Many people get lost out, some actually die. 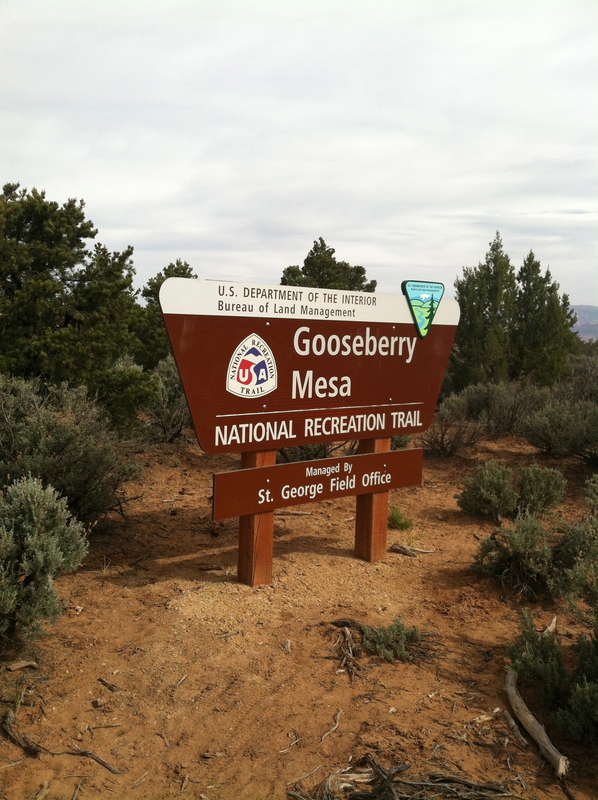 The one and only Gooseberry Mesa. 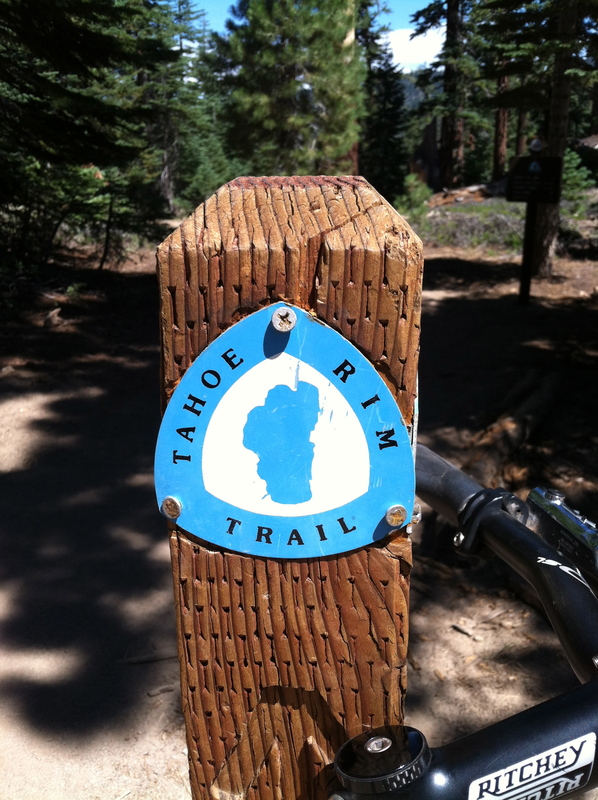 Spectacular cross country trail outside of Hurricane, Utah. Remember the movie? 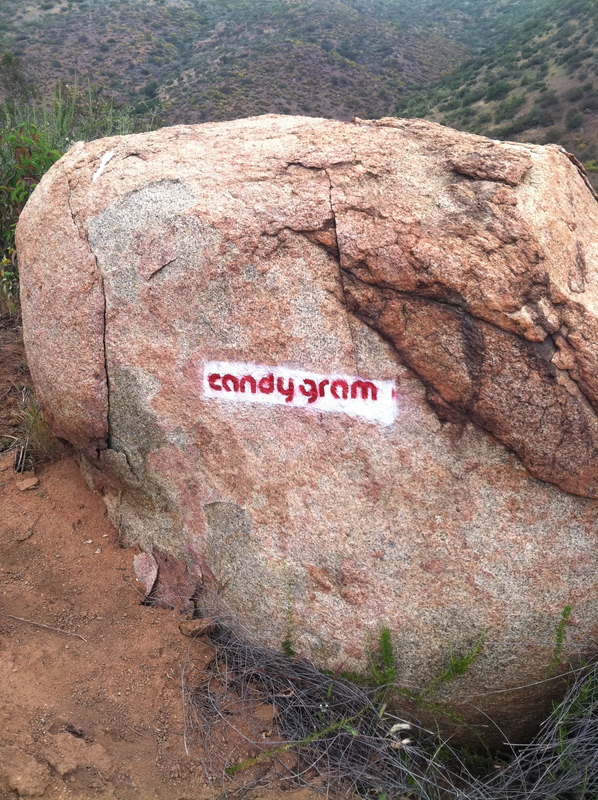 Out in Santee there is a series of trails, all with names from the movie. 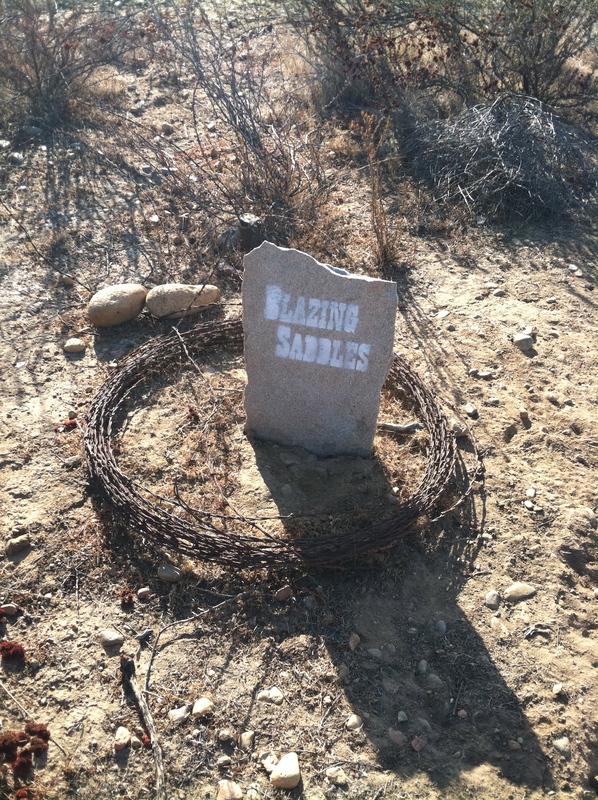 One of the Blazing Saddle themed trails, right next to Mongo. 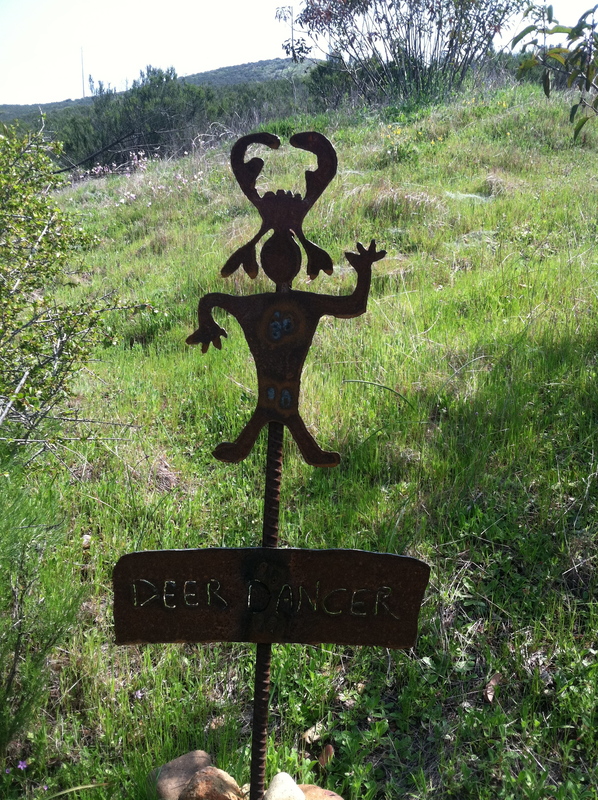 Deer Dancer, not Dancing Deer. Mission Trails Regional Park, north of the 52. 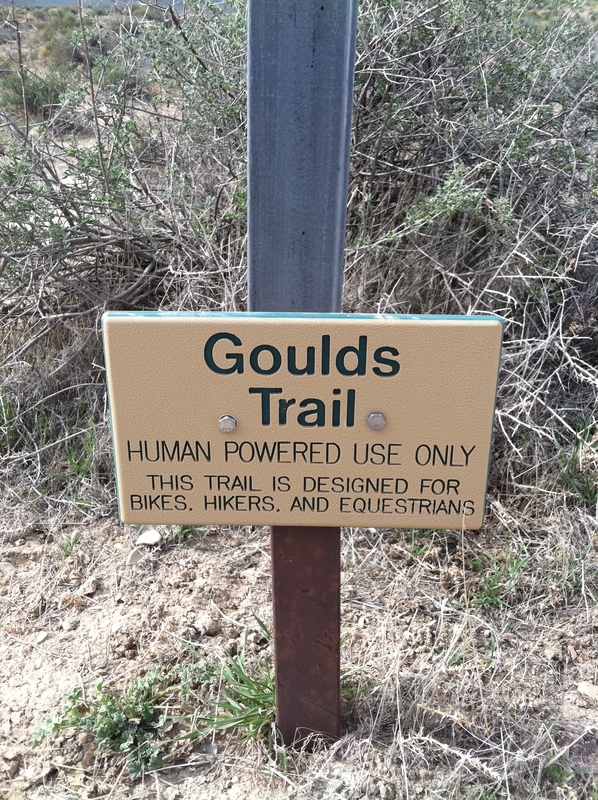 I don’t know who’s responsible for doing all the new trails that keep popping up in this area, but I’d like to buy the guy a beer. 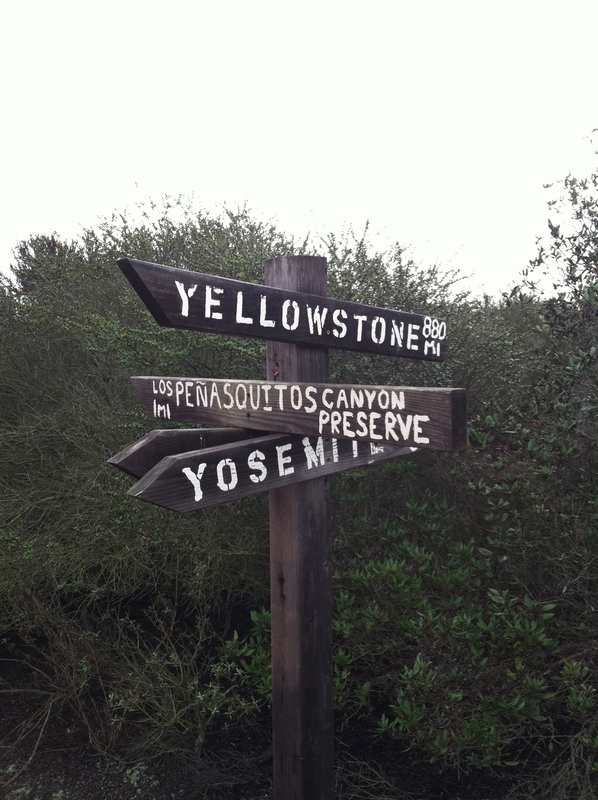 Classic sign in Carmel Mountain Preserve.